Empire’s first season introduced us to a Lyon clan that was already in the midst of a battle for the throne, and wrapped with a seemingly deposed Lucious. The series’ sophomore outing began with a not-so-powerless Lucious marshaling his forces from within the clink, and ended with him back on top as someone else fell from on high (more on that in a bit). These reversals of fortune are as inevitable as the realization that they are mostly caused by Lucious’ own misdeeds (hell, even the few things he’s gotten right). Lucious remains the sinner everyone loves and loves to forgive, but at this point, it’s unclear what exactly is being demonstrated by the forbearance of others. He’s forced one son into marriage, stolen another’s thunder at his own nuptials, and who knows even if he even stood up in Andre’s wedding. But, as we learn early on in tonight’s episode, Lucious’ daughter-in-law won’t be fussing over any snubs, perceived or otherwise, anymore. I’ll admit, I was mildly surprised to see Rhonda’s dead body on the hood of that car, because the Grim Reaper’s walked away empty-handed quite frequently on this show. I thought she might live to scheme with her husband another day, but since this show seems bent on turning the eldest Lyon cub into Job, that was probably overly optimistic. But, as is so often the case with this show, Rhonda’s death doesn’t really resonate. The chip she was holding—that Anika had caused her to miscarry by knocking her down some stairs—ultimately wasn’t worth enough to get her a seat at the table. That information could have helped Lucious evade prosecution, but only if he hadn’t managed to get Anika to marry him. And Rhonda’s longstanding relationship with Andre never held a candle to his devotion to his family. As endearing as it is to see the Lyons stick together through thick and thin, it means that all everyone else remains an outsider, no matter how many family friends they help kill and dispose of. All that Rhonda has left to offer is some hallucinations for Andre, who remains the most pitiable of all the Lyons. The focus cannot remain on the grieving husband, of course, because of all of Empire’s and Lucious’ problems, which are essentially the same thing. Everyone ends up at the hospital together, where Andre’s loss is eclipsed by the arrival of Lucious’ grandchild. In a typical Lucious move, the grandfather gives his wife an alibi just as she’s giving birth. And in keeping with his generally abominable behavior, he cannot hide his disappointment at the arrival of his granddaughter. He hisses at Anika for lying to him about the whole male heir thing, but hasn’t Lucious learned that there’s nothing a man can give him that he can’t get from someone else? He seemed happy with Freda Gatz as his protégée, and he was anxious to “claim” Olivia’s daughter as his own. Lucious’ machismo (and homophobia) are well established, but he’s now lacking for family members to influence. You’d think he’d welcome another blank slate to scribble over now that he can’t have a civil conversation with any of his sons. Previously, Lucious was able to control his sons by promising them the run of his company. This is nowhere near as tempting a proposition as it was when the show began—Jamal and Hakeem have both staked claims in the music industry independent of their father’s handling. (The future remains uncertain for poor Dre, the talentless Ivy Leaguer.) But while Jamal would rather just write music that’s meaningful to him, Hakeem’s raps remain reactions to his father’s rejection, so Lucious still holds some sway over them personally. Still, there’s no denying that the shine is off the platinum-selling corporation. Lucious is openly mocked by artists (French Montana, Birdman, and Tha Pope, who appear as themselves) when he tries to rope them into his latest venture, the streaming service Empire Extreme (or is it Exstream?) né Swift Stream. Although they’re not impressed by the not-Tidal service, their misgivings are inspired by more personal matters. Neither French nor Birdman can stomach Lucious’ betrayal of Cookie—the latter wonders what kind of king Lucious can be without his queen. 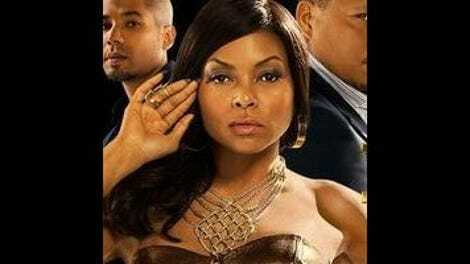 Let’s not even wonder how Cookie can handle Lucious’ latest act of treachery. The Lyon matriarch endures because she has to—the show hinges upon her tolerance, her compassion. Cookie is the ultimate ride-or-die; she loves her family fiercely and unconditionally. This blind or soft spot ostensibly humanizes what’s a larger-than-life character, but given what Cookie’s already been through, it’s a wonder that the show still thinks she needs that kind of grounding. Obviously, viewers want to see Cookie rise above it all, but the story can’t let her get too far away from her family. So she’s the voice of reason and rebellion, conspiring with one son while comforting the other. I’m still holding out for a real fresh start for Cookie, who’s run ragged in this less than triumphant return. She seems to disappear and reappear at the most convenient times, which might just be part of the black girl magic she’s promises in the preview for next week. More likely, though, it’s the result of some weird editing choices. Whatever the case, Cookie pops in and out of conversations and altercations as she’s needed, whether or not she could have called her driver in time. She facilitates the discussion between a bitter Hakeem and his child-stealing pop, then has to help make Lucious’ house Anika’s home to keep up the charade that will keep her ex out of jail. Then she dashes over to Laviticus to help Jamal prep his return to the stage. It’s not likely that Cookie’s reeling from Rhonda’s death—she hardly knew her, so never really took to her. Andre, however, has lost his wife and baby in quick succession, but this doesn’t elicit more than a secondhand message from his mother. Cookie’s not cruel—she’s just busy looking after everyone else. And holding Andre’s hand right now wouldn’t do much to advance the plot, which still includes the looming threat of a federal investigation. Because there’s no conflict of interest in looking into the criminal dealings of your half-brother, Tariq is still sniffing around the Lyon mansion, hoping to take down the only murderer in all of the country. I realize that Lucious is a big fish, and prosecuting a prominent figure would be a feather in the cap of a federal agent, but he also seems to be the subject of Tariq’s only open investigation. I don’t quite know how the FBI works, but Tariq’s fumbled repeatedly in making his case. And now he’s just staking out Lucious’ home in what’s clearly harassment. He can swear that he’s off-duty, but wouldn’t that invalidate any info he does obtain? Still, despite a lack of investigatory prowess, Tariq chomps almost lasciviously on some haricot vert while trying to turn someone, anyone, at the Lyons’ dinner table into state’s (country’s?) evidence. Like Cookie, Tariq is there because he needs to be, to threaten the nonexistent domestic tranquility. These Lyons are tearing each other apart with very little help from him, yet he still can’t manage to turn Jamal, Hakeem, or Andre against Lucious. Everyone takes turns listening to or enumerating Lucious’ misdeeds, but, for better or worse, he’s family, and no one’s going to permanently turn their backs on him. So let’s just envision Tariq as the latest Empire talent scout or at the bottom of the Chicago (sorry, Hudson) River, because he’s either going to be bought, or he’s going to buy it—the farm, that is. As usual, everyone sets their personal differences aside to get in the recording booth or on stage. These scenes—Hakeem’s interactions with Shyne Johnson and Jamal’s last-minute substitute—are indicative of the problems that Empire can’t seem to shake. Hakeem quickly goes from jilted groom to putting a new twist on his old pretension to the throne. That Hakeem could so easily forgot his ex isn’t surprising, nor is his adaptability toward working with a new producer (Shyne). 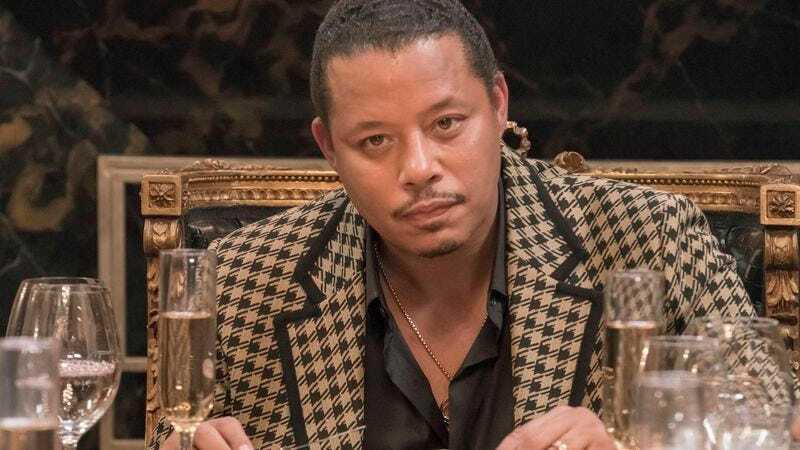 But the moment when Shyne tries to extort Lucious by threatening, then bashing, some poor sound engineer is symbolic of the show’s treatment of non-Lyon characters. Shyne was never going to get a rise out of Lucious by threatening that poor guy, who means nothing to Lucious. He might not have even accelerated the guy’s heart rate by smacking Hakeem around, given the current state of their relationship. Give him someone he actually cares about. The same goes for poor Rhonda—Empire needed to take someone we actually know and like for her death to be an affecting one. And later, when Jamal’s anxiety overwhelms him, he’s all too easily replaced by Nessa, Shyne’s niece who seems to have an eidetic memory and a great ear. (So, not a bad find for Empire.) Here’s another star on the rise, another potential rival for parental love. We’ve been here before, repeatedly. With this latest substitution, Empire’s undermining its own characters’ significance, and making it even harder for viewers to continue to care. Anika wears Louboutin flats, but we’re supposed to believe she’d accept some ratty old teddy bear from a hospital staff? I really cannot convey my sympathy for Andre. He doesn’t belong anywhere anymore. Timbaland’s no longer handling the music, but Shyne/Hakeem’s trap beats could still have come from him, maybe. If Lucious is undone by a nanny cam, I…well, I guess I’m going to laugh. Speaking of which, is any of that footage going to hold up in court, or is Tariq just looking for some blackmail material? “You’re the perfect little henchman.” Seriously, what does everyone have against Andre’s schooling? That’s all for now, folks—I’ll be dropping back in for the midseason and finale episodes, or maybe just to watch Leah make more cakes.